This week, three real estate brokers are cutting off customers’ online access to recent final home sales prices — coveted information that can help buyers and sellers gauge a property’s worth — because of a threat made by the Toronto Real Estate Board that they risk losing their lifeline to all privileged industry data. It’s about to get tougher to sleuth out how much homes are selling for in Toronto. This week, three real estate brokers are cutting off customers’ online access to recent final home sales prices — coveted information that can help buyers and sellers gauge a property’s worth. 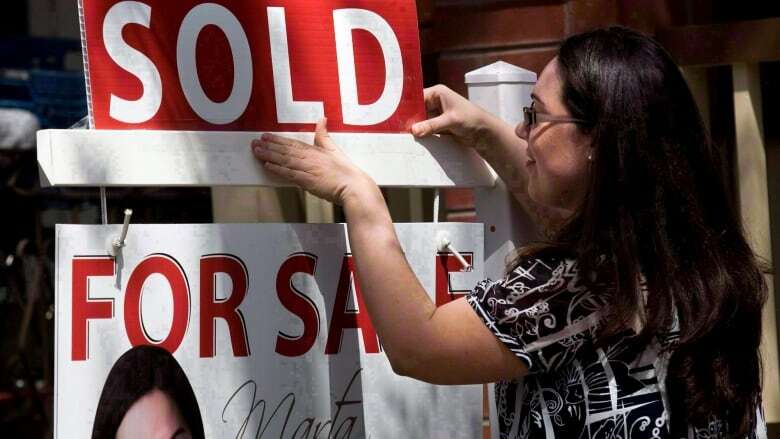 The trio are the latest to give in to a threat made by the Toronto Real Estate Board (TREB) to stop doling out home sales information or risk losing a lifeline to all privileged industry data. It’s just the latest battle in a war on multiple fronts over the traditional industry’s monopoly on vital real estate information. He explained to his almost 30,000 registered users that he is temporarily halting daily emails connecting them online to the latest prices of homes sold in Toronto. "In light of recent developments, we fear that making this information available to you, in this form, may be threatening our ability to continue operating as a real estate brokerage," he wrote. TREB gives agents access to recent final sales prices that they can offer to their personal clients. But Canada’s largest real estate board maintains that Realtors cannot widely distribute the information over the internet because of privacy issues. To drive the point home, TREB sent a stern warning letter to brokers last month. It threatened to cut off access to vital real estate data –– the Multiple Listing Service (MLS) — for those who don’t comply. "They obviously made a threat, and I guess you have to decide whether or not you're going to give in or not," says Beach, owner of Select/Plan Real Estate. The broker feels Canadians should have access to sales information online.He believes when Realtors control and selectively distribute the data, they may provide only details that benefit their business, not the client. "I think that the public is well-served if they can do their own due diligence," Beach says. He adds he doesn’t buy TREB’s explanation that recent sales stats can’t be widely distributed because of privacy concerns. "If 41,160 members have access to this information and are free to give it to [clients], I don't think it is private information." Despite his objections, Beach has decided to give in, because he doesn’t want TREB to cut off his connection to the MLS database. "I just really don’t want to lose access to the system, and it happened to me once before," he says. The board axed Beach’s link to MLS in 2007, after he launched a website that offered broad access to real estate data including sales price information. He then unsuccessfully sued TREB. SpringRealty was, at first, defiant. Owner Ara Mamourian originally told CBC News, after getting the TREB missive, that he planned to continue emailing weekly Toronto sales data to hundreds of registered users. "[TREB’s] probably gotten to a few people, but they're not going to get to me," said the broker. "It's 2015 not 1980 anymore. The way people expect to receive information has changed, and we're just simply giving people what they want." But then, after weighing the consequences, Mamourian contacted CBC News to say he’s decided to temporarily end his service this week. "We’re not ones to get that scared, but this time it just feels different and it just feels like [TREB’s] ready to make an example out of somebody. And we’re not prepared for that to be us right now." A third casualty is a similar service provided by Zoocasa, owned by Rogers Communications. As of March 4, the online real estate brokerage will no longer email its thousands of registered users daily sales data in Toronto. Darryl Mitchell, Zoocasa’s broker of record, says the company had thought it wasn’t violating the rules because, instead of publicly posting sold data online, customers had to register for email access. But, he says, after receiving TREB’s letter, "We felt it was probably better not to continue with that service at this point." Shortly after the threatening letter circulated last month, Bosley Real Estate and RE/MAX Hallmark also ceased offering sale price information on their home search app. The battle is waging on another front. Canada’s Competition Bureau goes head to head with TREB at a hearing in May. The bureau wants to break the board’s monopoly over vital real estate information like sales stats. It’s a test case that could end up affecting other real estate markets in Canada. Already in Nova Scotia, and for years across the U.S., realty websites publicly post home sales history online. In the meantime, brokers Beach and Mamourian are determined to find a way to relaunch their services. "We’re going to sit down and find a more creative way to get this information to the public in the future," says Mamourian. Beach ended last night’s online alert with the pledge: "Stay tuned … We will be back."